DJ talents around the globe, get ready for this year’s competition! Once again we are calling all DJs in our SUNANDBASS family to show their skills on the decks to convince our sophisticated jury. If you want to have the opportunity to be part of the 2017 line up then submit your mix now. To join the competition all you need to do is prepare a 40 minute long mix and submit it to mixcloud.com until 19 July 2017, 11.59 PM CEST. We will carefully listen to every submission and select the best mixes based on creativity, technique and selection and pick 6 winners to enter the finals in San Teodoro. The finalists will be announced early August. Please note that you can only participate if you are a SUNANDBASS 2017 ticket holder! Entering the finals does not grant access to the event. 6. Submit your mix by 19 July 2017! Start preparing your mix now and convince the SUNANDBASS DJ competition panel with your selection! If you have any questions feel free to reach out to djcompetition@sunandbass.net. We’re looking forward to an exciting competition and meeting the 6 finalists for the big showdown in September! A big thank you to all our past contestants and winners! 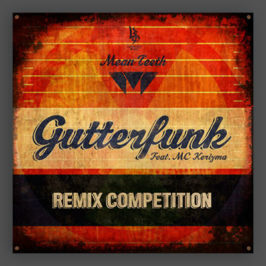 Check out some of the mixes from our previous winners here.